Unsatisfied with God? Upgrade to God 2.0! The last part of this article will deal with different types of churches that millions of Americans are a part of—that are at significant risk. I challenge you to read this article in its entirety and prayerfully consider, in humility, whether you may have fallen into one of these at risk groups. I must also wrestle with this myself. I’m disturbed. That’s not news, really, as I was created to carry the burden of God for the bride—his church. This results in a life of both continual joy and non-stop grieving—and never-ending bold calls of consecration. The dissatisfaction with God in our nation has resulted in an attempted upgrade—a 2.0 version of God that meets our demands and fits the picture for the perfect leader. Always happy. Always nice to us. Always working to fulfill our desires. Not inconvenient. His personality matches what we expect in a God. Exodus 32:6 (ESV) 6 And they rose up early the next day and offered burnt offerings and brought peace offerings. And the people sat down to eat and drink and rose up to play. The Hebrews were not satisfied with the current version of God, so their 2.0 upgrade was in the form of a golden calf—a god of their own design. After all, God’s purpose is to perform as we expect him to, right? He is mostly interested in our desires to eat, drink and play, isn’t he? My God, how far has the church fallen? Entire movements in our nation have upgraded God to their 2.0 version, and have successfully seduced millions of Christians to abandon the old, outdated, ancient Jesus. The arguments of the emergents have infiltrated the main line church in America. Before I continue, I have to make an important point. When bold truth is revealed that threatens the status quo of the church, it’s common for those who are invested in that system to accuse the messenger of being unloving or unconcerned for the bride of Christ. How opposite the reality truly is! It’s deep, troubling love that causes those who are broken over the compromised bride to sound alarms and shine lights to shake and wake a church that’s in extreme risk of living forever without the Bridegroom! We must be concerned not for the personal desires and perspectives of those who presume to identify with the bride, but for God himself and his desire for those who are lukewarm or deceived to pursue him with passion! That, my friend, is why we must risk offense to let an at risk bride understand just what is at stake. 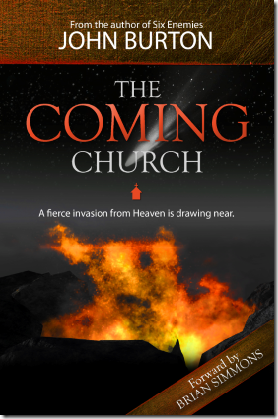 Many in the church will be shocked to find themselves in Hell one day. That reality haunts me non-stop. Do we understand that not everybody who calls themselves a Christian actually is? Again, that is why we have an urgent job as forerunners. The false bride, those who think they are Christians but are not, are at extreme risk of burning in Hell for multiplied trillions of years. Actually, forever. We cannot remain silent. An immediate, and unbiblical response that many people have today is, “It’s not your place to judge.” How many times have you heard that defense from the secular camp? Now, we are hearing it from Christians when their pet sins, false doctrines or structures are threatened! The accusation is that we are being cruel, unloving or presumptuous by dealing with this subject matter. Again, that couldn’t be further from the truth. As Christians, we actually have a very serious responsibility to judge in love! It’s a part of our job description. Pure love of the bride will reveal all that hinders love! We absolutely have a responsibility to urgently warn. To release messages of awakening. To talk about eternity, about Heaven and Hell. To call people to greater fervency. It’s love that demands this, yet so few are sounding alarms. If I see a child wandering into oncoming traffic, I don’t really care so much about whether he chose to rebel by running into the street. I’m not thinking about his motives or his error of judgment. I just want to warn him so he isn’t crushed by a bus. Yes, it is that simple. It is that urgent. With that in mind, I want to reveal some major church movements and expressions that are actually opposing the cross. The call of every single Christian is to hear God’s voice, to know him deeply and to intercede for the nations. You can gauge where the general church public is by calling a prayer meeting. The most elementary call for any Christian is to pray…and when Christians avoid the prayer room, it’s a revelation of just where we are as a church in this nation. Frightening. It wouldn’t surprise me at all if most people in the church in America are unsaved. Leonard Ravenhill said he doubts that 5% of American church goers are actually saved. I heard someone once say, who had a heavenly encounter, that only 1 in 1000 who die on any given day make it to Heaven. Possibly 99.9% go to Hell. That wouldn’t surprise me, and it grieves me beyond what I can bear. God 2.0 would never support this statistic. He is benevolent and unconcerned with our hearts. Mike Bickle said that the false-grace message, which is one of the leading causes of people being deceived as a false bride, is more dangerous than the issue of abortion and 54 million baby’s blood crying out in our nation! Listen closely! This is serious! My God, help us! Masses of people who are convinced that they are saved are actually following Jesus in an unsaved condition right now! Many more will fall away in the future! Who will warn them? Before we look at the problem churches, we must consider this: We have to resist the urge to presume the current Sunday driven church structure is the biblical norm. If we think we’re functioning normally, we’ll resort to minor adjustments to that system as repairs are needed instead of the destruction of it in favor of the introduction of the biblical church. When we truly understand this, we’ll devote ourselves to the removal of man made systems and give ourselves to the development of the new. Most people alive today have no idea what revival is. They have never experienced it. They have no grid for it. So, we default to what we have experienced and try to build on that faulty foundation. 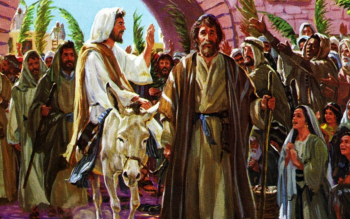 In Matthew, the passage that deals with the money changers follows immediately after another type of church that we’ll discuss next—the Triumphal Entry Church. I find it interesting that these two stories are back-to-back, and that they are events that are closely situated to the drama of the cross. Simply said, the cross of Christ is not only foreign, but resisted. The money changers church is possibly the best representation of the current American/Western church. This is a serious issue. 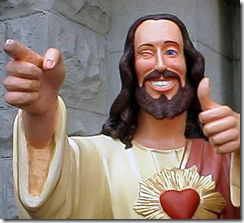 This is possibly the most severe and violent reaction from Jesus to a situation when he was still on the Earth. 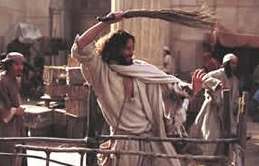 Note how aggressively Jesus rebuked and resisted the money changers. Why is this? They were fueled by a spirit of religion. Religion defined is man’s attempt to use God and his church to get what he wants. They were using the temple for personal gain. They were thinking about their own needs and desires instead of ministering to God. They went into the temple with the expectation of leaving with more than they entered with. The call to the church is for us to enter with an offering. A sacrifice. We leave with less than we entered with! Today, prayer is nearly dead in the church. Additionally, even in churches that support prayer, if every service was cancelled and replaced with prayer meetings, there would be a mass exodus of disappointed people who aren’t getting their desires met. In Acts, the “wait and pray” mandate was resisted by almost everybody. Thank God for 120 who weren’t waiting for a call from a pastor, a pat on the back or the perfect ministry center for their family. They showed up, laid down their agendas and changed the world. I’ve said it probably thousands of times and I’ll say it again. Our false expectations of what a church should be are resulting in a defiled structure. The church isn’t a house of teaching, a house of evangelism, a house of friendships or even a house of musical worship. It’s a house of prayer first and foremost. The other focuses are important, but secondary at best. Would you stay in a church that prayed as their primary activity? Or would you get frustrated and leave if your demands weren’t met? Is it possible you may be functioning in a similar spirit as the money changers? You go to church to receive instead of to give? Pastors know most would not stay, so they have all too often traded in their mantle of prophet for salesman. The church product has been altered, spruced up and packaged in a way to let the people know that they will receive the best bang for their buck if they come to their church. This is grieving, and must end! I am looking for pavement people—those who aren’t looking for comfort, but will hit the pavement and cry out to God as they did in 2 Chronicles 7!! Long ago as a young, first time church planter, my wife and I would often take visitors out to lunch after the service. I’d do my best song and dance to sell the Revolution Church experience to them. I’d ask what they were looking for in a church, and more times than not I’d encourage them that we’d get right on that! We’d be sure to sell them the product they are looking for! My brilliant wife would get so frustrated with me! She wanted me to stop the nonsense and simply communicate our vision. Boy, was she right! I was acting in the spirit of the money changers! I slowly changed my sales pitch. Instead of letting people know how much they would receive if they chose our church for their home, I was reveal the challenge and the cost. I’d let them know that we all pray together 10+ hours a week. We give financially in an extravagant way. We are fervent and burning and calling people into a radical lifestyle—to the cross. 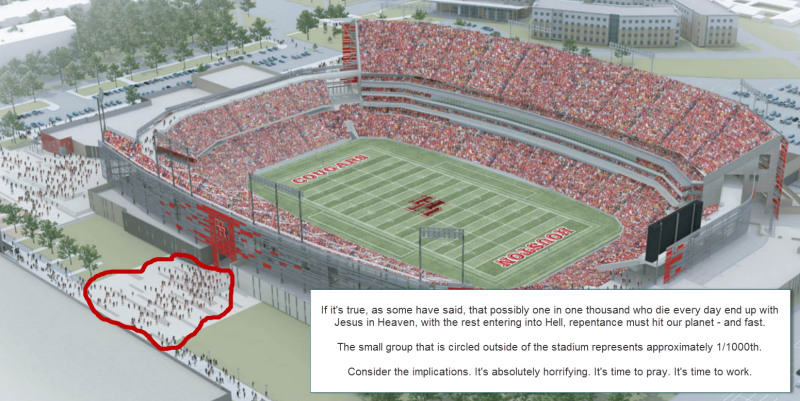 I’d actually try to discourage them from participating if they weren’t on board with the vision! And, surprise! I got more response from that call than I did trying to sell the perfect experience! I’ve witnessed first hand how people will flood into an environment that’s full of celebration and exuberance. I enjoy those environments too! I’ve also witnessed first hand how those same people—those who are dancing at the altar, going after a happy experience, will get sad when the call to the cross is preached. It’s heart wrenching. The focus of the people at the Triumphal Entry is similar to the focuses in the other churches we are discussing. They wanted their lives to be better. Blessing and personal gain were their motives. The word “Hosanna” literally means, “save us now.” The people wanted a king who would give them life in a kingdom that would be personally fulfilling. There’s nothing inherently wrong with that desire—unless that’s the extent of the desire. Notice how there was a measure of sacrifice by the people. They gave their cloaks. They got to work and cut down palm branches. They were exuberant in their worship. I can imagine a spirit-filled environment where people are at the altar dancing and laughing and worshiping. I’ve had that happen in churches I’ve led many times, and it’s great! Many churches are growing with this very positive, happy focus—but, the growth is, in my opinion, often driven by people who will not stay the course if the cross is preached with boldness. See, Jesus was willing to save them now. However, his methods were nowhere near satisfactory for a crowd of people who were looking for life, not death. Jesus chose the cross as the means to answer their prayers. This crowd of energetic worshipers switched quickly to energetic crucifiers. I’m all for wild, fervent worship. I am a proponent of continual joy. We should dance and smile a lot. However, we can’t dismiss the burden of the cross and the call to die. Don’t presume a church is alive just because there’s an electric atmosphere. Human energy and desire can create quite an environment. Wait and see who remains when the call to surrender is high, and the alarms of intercession are sounded. There is some relation between the Rich Young Ruler church and the Money Changers Church. In both scenarios, personal gain was the focus. I am convinced there are millions of people following Jesus in an unsaved condition. Pastors have affirmed people’s commitment to Christ and, in turn, their eternal security, all while, in many of those cases Jesus knew the deeper truth—they were not willing to surrender all. I believe the sinner’s prayer has probably led more people to Hell than to Heaven. Handled wrongly it gives people false-confidence in their position in Christ. How many go to church each week, raise their hands in worship, pay their tithes and “follow Jesus” in a very public way, the same way the Rich Young Ruler wanted to—but are actually not saved? Even Billy Graham admits less than 2% of people who make decisions at his crusades over the years remain true followers of Jesus. Wow! Matthew 19:26-29 (ESV) 26 But Jesus looked at them and said, “With man this is impossible, but with God all things are possible.” 27 Then Peter said in reply, “See, we have left everything and followed you. What then will we have?” 28 Jesus said to them, “Truly, I say to you, in the new world, when the Son of Man will sit on his glorious throne, you who have followed me will also sit on twelve thrones, judging the twelve tribes of Israel. 29 And everyone who has left houses or brothers or sisters or father or mother or children or lands, for my name’s sake, will receive a hundredfold and will inherit eternal life. I give myself about an 80% chance of making Heaven. Is there any part of the Rich Young Ruler in me? Is it possible that I could fall away? It would be arrogant for me to presume that I’m exempt from the great falling away. I wrestle with Jesus and with my own heart—and I love that process. Again, it’s healthy and necessary to work that out day by day. And, we need pastors and leaders who won’t skirt that tough topic out of fear of losing people who would rather be coddled. 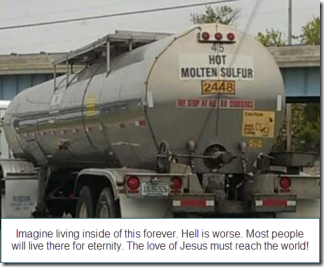 It’s possible that the best giver and most vibrant member of your church is on a track that leads to Hell. We can’t stay silent on this issue. When you understand how deeply God loves you, it’s wonderful to wrestle with the difficult topics. It’s invigorating! I’ve written on this previously, so I’m going to be extremely short with this concluding point. Praying in the Holy Spirit will be continual. We will be together most days of the week to pray, receive apostolic instruction and move out in unity to fulfill that assignment. We will arrive at church full and leave empty—after we’ve poured out to God. Friendships will be forged in the foxhole more than at potlucks and picnics. The cross will be central. The bar of expectation will be high. It will be apostle led more often than pastor led. Lets see an Acts 2 & 2 Chronicles 7 church arise! The most powerful, significant and liberating message ever given to the human race is the gospel of grace. The Christian life is established on the foundation of this wonderful truth, which emphasizes what Christ did for us on the cross and what the Holy Spirit does in us in our daily life. Paul’s dramatic declaration that we have become new creations in Christ has vast implications for our lives: “Therefore, if anyone is in Christ, he is a new creation; old things have passed away … all things have become new … that we [our spirit] might become the righteousness of God in Him” (2 Cor. 5:17-21). The “he” that is a new creation is our spirit man. We possess the very righteousness of God in our spirit (v. 21). This describes our new legal position in Christ—how God sees and relates to us. In Christ, all things have become new pertaining to our spirit. This includes being fully accepted by God, receiving the authority to use the name of Jesus and possessing the indwelling Holy Spirit—all of which enable us to resist sin, sickness and Satan; to walk in victory; and to release the works of God through prayer. The old things that passed away under this legal shift include no longer being under the penalty of sin nor being dominated by the power of sin. So what’s the problem if we’ve been given such freedom as new creations? Unfortunately, man’s natural tendency to distort truth gets in the way. And when it comes to a truth as fundamental and crucial as grace, that distortion has far-reaching implications. In short, it can become the central crisis of an entire generation. Think about this: Within one generation after Jesus’ resurrection, it was already necessary to contend for the true grace message. That’s how key this battle over the true grace message is and always has been since Jesus’ definitive work on the cross. Jude warned of certain men who crept into the fellowship of the church unnoticed—that is, their error went unnoticed by most of the leaders and the people. These men turned the message of grace into a message of lewdness or one that affirmed various compromises, even sexual immorality. These men with persuasive teaching abilities twisted what the Bible said about grace, thus empowering many to confidently continue in sinful activities without feeling any urgency to repent. Undoubtedly, these teachers of error appeared outwardly to live godly, but in their private lives they refused to repent of various lusts. Instead, they justified their ungodly habits by distorting the message of grace to accommodate their lifestyles. The result was devastating, as many in the church concluded that it was acceptable for them also to live with similar compromises because these popular teachers were justifying this sort of lifestyle with various Bible verses. In reality, they took these verses out of context of the broader New Testament message, which called believers to live in wholehearted love for Jesus as evidenced by seeking to live in obedience to Him (John 14:15, 21). The same is true with hyper-grace teachers today. They choose to emphasize only God’s love and forgiveness while practically ignoring Jesus’ call for His people to walk in wholehearted commitment to the Lord. They preach mostly on forgiveness without repentance and on receiving God’s blessing on their circumstances without any conditions. The truth is, it’s glorious that we are freely forgiven by Jesus and that He blesses our circumstances; but these truths are in context to seeking to live in a real relationship with Him and in agreement with His leadership and Word. Jude’s exhortation is a significant warning for the body of Christ today. When the grace message is distorted, everything else in one’s spiritual life becomes blurred. In fact, there is no spiritual battle more significant in the church today than contending to keep the grace message faithful to Scripture. Sadly, some believers aren’t even aware of this spiritual crisis regarding a diluted grace message. They must wake up to the emergency at hand—because today, as we contend for the spirit of truth, we are fighting for the very soul of a generation. It’s easier in today’s world for teachers to creep in unnoticed, as Jude said, because of television and the Internet. Some contemporary teachers distorting the message of grace come from high-profile ministries whose very popularity gives them a false sense of credibility. We must not receive a ministry because it’s attractive and popular; we should only receive it if it’s faithful to the truth. Paul prophesied of a time when many who profess loyalty to Jesus would fall to unsound doctrine: “For the time will come when they will not endure sound doctrine, but according to their own desires, because they have itching ears, they will heap up for themselves teachers; and they will turn their ears away from the truth, and be turned aside to fables” (2 Tim. 4:3-4). These people aren’t willing to embrace the challenges of a lifestyle of obedience to Jesus as emphasized by the sound teaching in the New Testament. Instead, they have “itching ears” to hear messages that affirm their sinful desires. They want to feel comfortable in their relationship with God, even as they continue to boldly walk out their sinful lusts. By isolating Bible verses about God’s blessing and forgiveness from the larger context of the New Testament’s call to love Jesus with obedience, they affirm the lustful desires of their hearers. One famous TV preacher went so far to say that there is no longer a need for a believer to repent because Jesus’ work on the cross did that for them. He obviously overlooked the fact that Jesus repeatedly called born-again believers to repent for yielding to various compromises (see Rev. 2:5, 16, 21-22; 3:3, 19). If countless sincere believers have already succumbed to the rising tide of this distorted grace message, how can we stand strong through the crisis? It starts by remaining grounded in biblical truth. We must approach the biblical grace message through the lens of God calling us to love Him with all our heart, soul, mind and strength (Mark 12:30). The Lord wants us to love Him in a wholehearted way because that’s how He loves us—with all of His heart, mind and strength. This mutual relationship of wholehearted love between a believer and the Lord is foundational to the kingdom. In fact, this is the very way that the Father loves the Son—with all of His heart. The Son loves the Father and the Spirit loves the Father and Son in this way too. Oh, the glorious mystery of one God in three persons who delight in Their relationship of wholehearted love for each other (see John 3:35; 5:20; 14:31; 15:9; 17:23, 26)! God’s plan from the foundation of the earth was to redeem people so that they could participate in this loving fellowship that the three persons of the Trinity enjoy. The core reality of the grace message is to empower us to walk with God in a relationship of wholehearted love. Jesus called this “the first commandment” (Mark 12:30). Thus, the Holy Spirit’s first agenda is to establish the first commandment in first place in the church. This must also be our first agenda. Wholehearted love is to be “first” in our response to God because it is how the Father relates to the Son and how the Godhead relates to us. We must see grace through the lens of this quality of love. To think of grace without it being anchored in the first commandment is to be aiming at the wrong target. Thus, we distort the grace message when we do not interpret it through the lens of the first commandment. We must love Jesus on His terms, and He defined loving God in terms of a spirit of obedience to His commandments (see John 14:15, 21, 23). If you hear a teaching on grace that doesn’t call you to deny ungodliness, it’s not a biblical grace message—it’s a distorted one. As we correctly view the grace message through the lens of the first commandment, we can also begin to understand the difference between our legal position before God and our ongoing living condition as a response to what Jesus has done. Not only is there a key difference between these two, it’s often the element that hyper-grace adherents conveniently overlook. Our legal position is what Jesus accomplished for us on the cross, while our living condition is what Jesus requires of us in our response to Him. In our legal position, we stand before God by possessing His righteousness (2 Cor. 5:21). Our legal standing before God is so glorious that it will never be improved upon—not even with the perfection of a resurrected body—because we received Christ’s very own righteousness. Our legal position relates to receiving His righteousness instantly on the day that we are born again. Our living condition, on the other hand, relates to growing in righteousness progressively as our mind is renewed, causing our behavior and emotions to be transformed by the Holy Spirit in us. One-third of our salvation is complete (the salvation of our spirit), but the other two parts are not yet complete in our experience (the salvation of our soul and body). All believers have received the fullness of grace in their spirit (legal position), and yet they can still live far below it in their daily experience (living condition). Much misunderstanding about grace can be traced to misunderstanding the distinctions of these truths. Many confuse what Jesus did for us in our legal position with what He requires of us in our response to Him in our living condition. Jesus’ finished work on the cross makes His grace fully available to us as a gift. However, our regular interaction with the Spirit causes us to experience the transforming power of this grace in our daily life. James wrote about this when he urged believers to walk in a greater measure of grace because God “gives grace to the humble” (James 4:6). James wrote this to born-again believers, calling them to receive more grace. A believer already has the gift of righteousness and therefore can’t receive “more grace” in his or her legal position. However, each of us can receive “more grace” in our living condition—and this is what James was referring to. We can always experience more of God’s grace to transform and renew our mind and emotions (see Rom. 12:2). If we hope to experience more of this transforming grace on a daily basis, then we must follow the words of the greatest teacher on grace who ever walked the earth: Jesus. The Sermon on the Mount (Matt. 5-7) is His most comprehensive statement about a believer’s role in cooperating with God’s grace. In this teaching, Jesus defined loving God in context to the eight beatitudes (5:3-10), offering us a rich understanding of how to walk out biblical grace in our daily lives. One aspect of this is Jesus’ exhortation to us to hunger for more of God’s righteousness (v. 6). Here, Jesus affirmed the need to press into God for a greater release of righteousness in our daily lives—our living condition. Keep in mind that He wasn’t calling us to receive more of the gift of righteousness, since we already fully possess this in our legal position. Our hunger for righteousness doesn’t cause us to deserve grace—nothing can do that—but hunger positions us to receive more of the outworking of righteousness in our character. Some believers don’t hunger to grow in righteousness in their daily life. Rather, they seek to know how far they can go in sin and how little they need to talk with Jesus to keep their salvation intact. Of course, the new bride would be heartbroken to hear that her husband didn’t love her with all of his heart but was instead establishing their marriage on a faulty foundation—and focusing almost entirely on the bare-minimum “requirements” and legal ramifications involved. Some teach about grace in a way that parallels the lack of wholeheartedness portrayed in this analogy. It’s a version of grace more concerned with what it takes to “meet the requirements” on paper than to engage in the authentic, loving relationship for which it was originally intended. Sadly, this error is bound to occur whenever people separate the grace message from the first commandment. Grace was never intended to be abused, but as our current church crisis proves, it can be. God gives us the freedom to choose relationship and obedience to His Word—and thus benefit from the true liberty found in grace. Yet this is also why Paul urged the believers in Corinth “not to receive the grace of God in vain” (2 Cor. 6:1). The gospel of grace is distorted in two main ways: first, by presenting God’s love as something we can earn; second, by refusing to call people to respond in wholeheartedness to God. The fruit of the biblical grace message is confidence in the gift of God’s love combined with a spirit of obedience. If either of these two elements is missing, then it isn’t the true message. Thus, receiving God’s grace in vain is to receive it in such a way that it doesn’t produce confidence in God’s love nor the resolve to respond wholeheartedly to Jesus’ leadership. Either distortion is disastrous for our spiritual life. Like Jude in the first century, we must earnestly contend for the truth about grace. The very soul of the youth in our nation hangs in the balance. The good news, however, is this: The Holy Spirit is highlighting this spiritual crisis and is committed to the recovery of the biblical grace message. We can be confident that He will release His power to establish the first commandment in first place in the church before Jesus returns for His fully prepared Bride (see Rev. 19:7). Let’s come alongside Him, rather than opposing Him, when it comes to receiving, understanding and walking in grace. 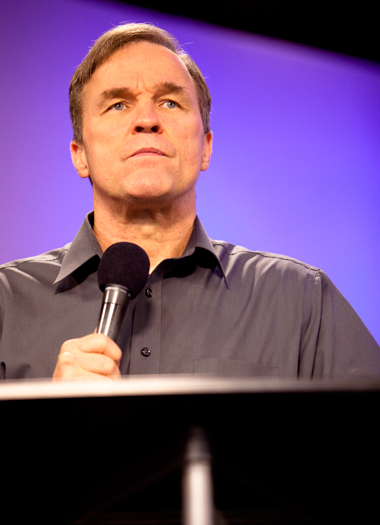 Mike Bickle is the director of the International House of Prayer Missions Base of Kansas City, Mo., and author of several books. 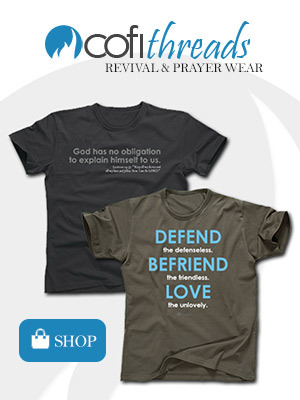 For more information, visit mikebickle.org or ihopkc.org. 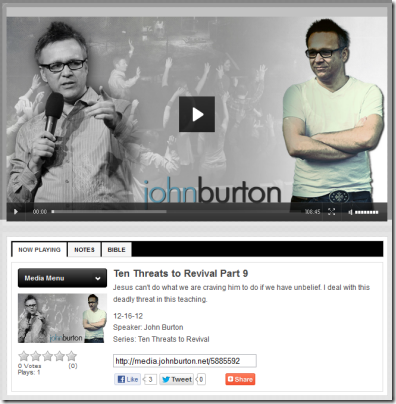 Audio & Notes: Are you ready for the tribulation & the return of the Lord? Listen to this teaching from tonight’s class at thelab school of fire—The Lifestyle of a Forerunner. 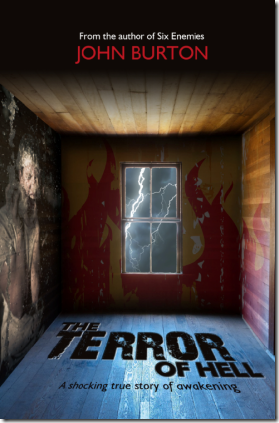 You will get rocked as you listen to this teaching from thelab school of fire. It’s hot off the press—just a couple of hours old. Are you ready to step into the calling of an end-time forerunner? Listen and find out! a. One of this ministry’s primary callings is to minister with a “forerunner spirit”. Forerunners prepare the way for the Lord by preparing people to respond rightly to Jesus in light of His Second Coming. I've been listening to Mike Bickle's series on the forerunner and the fasted lifestyle. Fasting of our time, food and money. He talks about how disruptive it is to give ourselves to God in a radical way. We are living in a prophetic time, we are a prophetic generation, many believe the generation before the Lord's return, and there is a call to radical, extravagant devotion to Jesus. If we say Yes, we are blessed in the deeper things of God during this life and the one to come. If we say No and lock ourselves behind our safe religious traditions, we risk our hearts growing cold to the deeper things of God. We don't separate ourselves from His love, but we close the door to a greater awakening and walking in deeper revelation. Don't know about you guys, but I want a deeper revelation. The same ole same ole doesn't work any more. But the radical, fasted lifestyle messes with our worlds. It's disruptive. It means eating less, spending less, sleeping less so we can get up or stay up for prayer. Worse, our pursuit disrupts the lives of those around us – our friends and families. In Matthew 11:19, Jesus is preaching and reminding the people the religious leaders said John the Baptist had a demon, and they accused Jesus of being a glutton and drunkard. Bible believing, Bible preaching people are going to be offended at the radical lifestyle and they are going to call us crazy, demonized, drunkards and all sorts of things. Our reputations will be ruin, perhaps. Jesus tells us we will be reviled because He was reviled. But, we will have what can't be taken a way – a knowledge of the Beautiful man. An experience in the pleasures of God, IN THIS LIFE. And I believe, walking in divine power and authority. I've concluded: Prayer is a must. Not bless Aunt Betty prayers, but intercession. We cannot go on without it. We must pray the Word, believe the Word. We must dialog with God using His own words. It deepens our own understanding, our own revelation. Giving, praying, fasting unlocks our hearts! Even our smallest effort. The writer of Hebrews understood this and challenges us. “Oh my stars, you guys still want milk? You could be eating steak by now. c. We are in a transitional season between generations. i. A prophetic generation is arising around the world who's daily lifestyle will look nothing like their parent's. 1. Acts 2:43-47 (NKJV) 2:43 Then fear came upon every soul, and many wonders and signs were done through the apostles. 44 Now all who believed were together, and had all things in common, 45 and sold their possessions and goods, and divided them among all, as anyone had need. 46 So continuing daily with one accord in the temple, and breaking bread from house to house, they ate their food with gladness and simplicity of heart, 47 praising God and having favor with all the people. And the Lord added to the church daily those who were being saved. v. Detroit is a forerunner city- we as forerunners are establishing a city of the future as God reveals his plans. vi. The ministry of the forerunner, especially during transitional seasons like the one we're in, is one of the most important in the church. i. We are also preparing the way for Jesus! The preparation of the arrival of a city of refuge, of a city of worship and of Jesus himself requires absolute focus, energy and passion. h. Embrace the continual disruption to our rest, our focuses, our families, our relationships, our work and our pursuits- as God continually requires more of us, shakes us to the core and develops us into radical pioneers! ii. Becca was told that she would have to surrender her family to God if she wanted to accept her calling. iv. The life of the forerunner, as with John the Baptist, is a life of lonely and zealous and continuous declaration. 1. They have surrendered their lives. 2. God asked Becca permission to take her life. He asked me permission to take mine. He's asking the entire generation of forerunners to die. 3. Mat 14:10 So he sent and had John beheaded in prison. I’m not going to lie; this was not a fun season of life. I’ve never cried so much, nor felt so lonely, nor felt like my very life was being sucked out of me with each passing hour in the prayer room (graphic, yet true). I had anticipated a breaking of sorts when I got here, Lord knows I needed it, but I did not understand the entirety of what I had signed up for. In the infamous words of Corey Russell, God got up in my business. Almost as soon as I got here, God took me out of the excitement and comforts of internship bonding and into a twenty-one day fast (promptly breaking my fear of fasting). It was clear that this season wasn’t about my ability to make good friends; God wanted me all to himself. In a place where every single false comfort and idol had been stripped away and only loneliness and barrenness remained (thank you, Dana Chandler for providing language for the groaning), I quickly realized that I had a deep fear of intimacy and animosity against God. I didn’t trust God. Actually, everything that I struggle with has its roots in distrust, is God really who he says he is? Will He really do everything he has promised? Can I really give him my whole life? God has proven faithful time and time again to answer my many questions. This is what it all boils down to: I’ve fallen in love with a Man and he’s bid me come and die so that I may truly live. I’ve signed up for a life that’s different, wholly other than what the world thinks of as a successful life. I didn’t know that my life would be “ruined” when I got here. I didn’t know that there would be an unsatisfied ache in my soul that will remain all the days of my life. I didn’t know that I was going to be preparing for the last days and the return of my Lord and Savior, which was, by the way, one of the biggest shocks of the internship – my college education in theology did not prepare me for this message! I didn’t know the cost would be so great and that the reward would be far greater…here I go weeping again. As this internship ends, I find that I’m embarking on a great journey: To spend the rest of my life now and in eternity experiencing this man and his love and seeking out a comprehension of this God and his glory; what could be greater? i. Since 1991 I have been burning with virtually the same message and have been both disappointed and shocked that so few in the church were eagerly responsive. 4. I found myself puzzled as I would proclaim the necessary and critical directives of God- pray hours a week! I'd get nods, smiles and some response… but much non-responsiveness. ii. I wasn't alone in my pursuit, I knew that. I experienced first hand mighty people of God who also modeled such a lifestyle. i. As I've discovered more about the forerunner ministry, the more I have understood the critical importance of an intentional relationship between them and the church. ii. If you can't hear God, stay very close to someone who does. 1. Amos 3:6-8 (NKJV) 3:6 If a trumpet is blown in a city, will not the people be afraid? If there is calamity in a city, will not the LORD have done it? 7 Surely the Lord GOD does nothing, Unless He reveals His secret to His servants the prophets. 8 A lion has roared! Who will not fear? The Lord GOD has spoken! Who can but prophesy? 2. We know that we should all prophesy, should all hear God… especially those associated with ministries like this as we are a team of forerunners and developing forerunners. a. However, there is a special prophetic declaration that is being sounded through forerunners- and it's critical to heed that alarm! b. The difficulty in this is that those who don't personally hear the alarm simply assume that it is not sounding, or that it is not for them. c. The reality is that God established the prophetic ministry as a protective measure for his church. d. It's very important to read the Elijah List, to listen to people like Chuck Pierce and others who are proclaiming the Word of the Lord for these end-times. e. Habakkuk 2:2-3 (NKJV) 2:2 Then the LORD answered me and said: “Write the vision And make it plain on tablets, That he may run who reads it. 3 For the vision is yet for an appointed time; But at the end it will speak, and it will not lie. Though it tarries, wait for it; Because it will surely come, It will not tarry. i. The visionaries, the forerunners, write the vision down and the rest of the body reads and runs! iii. John the Baptist said, “this was He of whom I said”… yet people weren't entirely ready for his arrival. Will the church be ready to respond to the word of the prophets? The forerunners? Is the church resisting or responding? Heck, are those who are called as forerunners resisting or responding! f. Are you called as a forerunner? Someone who is establishing now what God desires to exist in the not to distant future? i. If so, you will have the responsibility of proclaiming and establishing some difficult truths. ii. You will have the responsibility of reordering every part of your life to ensure there is extreme time, energy and passion available to complete the mission. iii. We as forerunners are living now as the entire generation of Spirit-filled believers will be living in a short amount of time. 1. We are praying hours a week, we are together in strategy sessions continually, we are maturing at a very fast rate, we are unified and organized as a holy military. 2. We are allowing extreme lifestyle pressure to hit us because of the severity of the prophetic call on our lives. 3. Isaiah 62:6-7 (NKJV) 62:6 I have set watchmen on your walls, O Jerusalem; They shall never hold their peace day or night. You who make mention of the LORD, do not keep silent, 7 And give Him no rest till He establishes And till He makes Jerusalem a praise in the earth. 4. We must repent for our schedules! a. We are called to order our lives in such a way that our mandate is carried out, not in a way that focuses on rest and entertainment! g. The forerunner is simply announcing what will be the normal lifestyle of the normal believer in a short time to come. i. This doesn't mean all will respond, but it means that those whose hearts don't grow cold will be those that do respond. iii. As we hear and shine the light of the Word of God, more and more revelation will come to us. It's the normal way of life for the believer- but we are living below the bar. 1. It will be the norm to be in church and ministry activities 4 or 5 nights a week. a. Psalms 27:4 (NKJV) 27:4 One thing I have desired of the LORD, That will I seek: That I may dwell in the house of the LORD All the days of my life, To behold the beauty of the LORD, And to inquire in His temple. 3. It will be easy to understand that the lifestyle God gives us is not there to bring comfort to our lives, which is the opposite of the mindset of the western church now. a. The extreme problem in the church as we know it is that we assume it's there to make our lives better, that God's primary purpose is to comfort us… but it's an inaccurate idea! i. When we find ourselves full enough, the prayer stops, the effort ceases, the pressing eases. We must push because of the magnitude of our mission! ii. We will only fulfill our mission if we are bleeding and sweating and pressing in great unity every day of the week with smiles on our faces and fire in our eyes! b. Our pleasure and comfort will come through intimacy and obedience. 4. The disruption of our daily lives will be embraced. 6. Let's join with other forerunners around the world and establish now in our lives and in this city what is to come! Detroit is a forerunner city- one that will be devoted to God not only on Sundays, but 24/7! It will disrupt everything in our lives, it will demand much, and it is what God has called us to! 7. The way we live our lives now, as forerunners, is what we are prophetically declaring to the world- as we live so they will live. Is it enough? i. Self-denial- Matthew 3:4 (NKJV) 3:4 And John himself was clothed in camel's hair, with a leather belt around his waist; and his food was locusts and wild honey. iii. Obedience- Matthew 3:13-15 (NKJV) 3:13 Then Jesus came from Galilee to John at the Jordan to be baptized by him. 14 And John tried to prevent Him, saying, “I need to be baptized by You, and are You coming to me?” 15 But Jesus answered and said to him, “Permit it to be so now, for thus it is fitting for us to fulfill all righteousness.” Then he allowed Him. iv. Powerful Preacher- Mark 1:4-5 (NKJV) 1:4 John came baptizing in the wilderness and preaching a baptism of repentance for the remission of sins. 5 Then all the land of Judea, and those from Jerusalem, went out to him and were all baptized by him in the Jordan River, confessing their sins. vi. 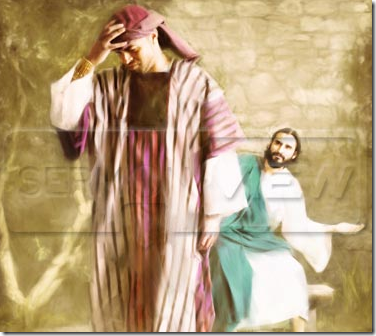 Holiness- Mark 6:20 (NKJV) 6:20 for Herod feared John, knowing that he was a just and holy man, and he protected him. 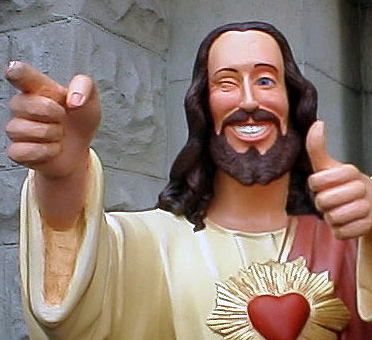 And when he heard him, he did many things, and heard him gladly. vii. Burning Zeal- John 5:35 (NKJV) 5:35 “He was the burning and shining lamp, and you were willing for a time to rejoice in his light. viii. Honored by Christ- Matthew 11:11 (NKJV) 11:11 “Assuredly, I say to you, among those born of women there has not risen one greater than John the Baptist; but he who is least in the kingdom of heaven is greater than he. x. Suffered Martyrdom- Matthew 14:10 (NKJV) 14:10 So he sent and had John beheaded in prison. Right now, all across the earth, the Holy Spirit is raising up a worship-based prayer movement that will culminate in the second coming of our King, Jesus. This isn’t a new idea, but one rooted in history and, more importantly, in the Bible. This prayer and worship movement that we see exploding across the planet was prophesied many years ago, as recorded in the Scriptures. I believe that what we’re witnessing today, with the rapidly growing worldwide prayer and worship movement, is the beginning of the fulfillment of biblical prophecies about the end times. This conviction that God is raising up a worldwide prayer movement that will precede Jesus’ return has strengthened my resolve to build a 24/7 worship community. We started on May 7, 1999, and for the last 12 years the International House of Prayer Missions Base of Kansas City (IHOP-KC), consisting of full-time missionaries who serve as worship leaders, singers, musicians and intercessors, has continued nonstop in worship and prayer. Our hearts are set on gathering corporately to worship Jesus 24 hours a day, seven days a week, every day of the year. Partnering with Him in intercession, we contend for an outpouring of the Holy Spirit and for the release of justice, both in our own city and in the cities of the earth. What started with 20 full-time missionaries has grown to more than 1,000 full-time staff and 1,000 students and interns in our Bible school. Why do I mention this? Because if weak and broken people in Kansas City, Mo., can do this, anyone can! And that’s exactly the point God wants made. The Lord is determined to establish a culture of prayer in the entire body of Christ worldwide before He returns. Over the last 10 to 20 years, we’ve watched the prayer movement grow especially fast in Asia and Africa. Yet this rapid growth is only the first fruits of what Jesus is doing in His church in this generation. I believe this is the hour in history when many of God’s people from a multitude of ministries, churches and denominations will align themselves with Jesus’ commitment to build His church. It will be in such a way that He Himself will call it “a house of prayer for all nations” (Is. 56:7). The Scriptures describe several characteristics of the end-time worship and prayer movement that are involved in releasing God’s presence and power. When people pray, the spiritual atmosphere over cities and regions is changed. Demons are driven back from their place of influence, angels are more active, and the Spirit releases a greater measure of grace on our labors. Thus, the preaching of the gospel and the works of the kingdom become more effective. Jesus taught us to pray for God’s kingdom to be expressed on earth as it is in heaven (see Matt. 6:10). This includes worship—the Father desires to be worshipped on earth as He is in heaven. The apostle John wrote more on the end-time worship and prayer movement than any other writers of Scripture. From two of their books—Isaiah and Revelation—we can define seven characteristics of this global movement. 1. It will be God-centered (Rev. 4:8; 5:11-14; Is. 24:14-16). The worship order of heaven is decidedly God-centered. Night and day, day and night, those nearest God’s throne proclaim the truth about who God is and what He does. He desires that His creation would encounter His majesty, love and goodness and that, in turn, they would offer up their praise and adoration for all He is, all He has done and all He will do. Treasuring God and adoring Him endlessly is the priority of the prayer movement. It is the necessary and fitting response to His matchless beauty and immeasurable worth. Worship is a witness on earth to the indescribable value of Jesus. The truth of His greatness must be declared in song and in proclamations because it is the ultimate truth on which the created universe exists. This truth of the greatness of God is powerful. God loves the truth, including the truth about Himself. The power and supremacy of the grand truth about God demand expression on the earth. If the people do not worship our great God, Jesus said the rocks would cry out in our place (see Luke 19:37-40). The end-time worship and prayer movement will extol the majesty and worth of God as it joins the symphony in heaven, where the worshippers are forever crying out, “Worthy is the Lamb!” (Rev. 5:12). Our prayer life is best energized when we experience intimacy with God’s heart. The Father relates to us with tender mercy. Jesus relates to us with fiery desire as our bridegroom God (see Is. 54:5, 62:5).In Revelation 22:17, John prophesied that the Spirit and the bride would say, “Come, Lord Jesus!” This is one of the most informative and significant prophecies describing the end-time church. 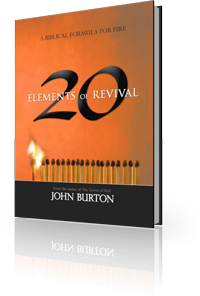 In it, John describes an end-time church in unity with what the Spirit is saying and doing. What is the Spirit saying? He is speaking to believers about their corporate identity as Jesus’ bride. What is the Spirit doing? He is interceding for Jesus to come in power and calling thirsty people to come to Jesus, the bridegroom God. In the end times, for the first time in history, the Spirit will universally emphasize the church’s identity as Jesus’ bride. It is not the Spirit and the family who will say, “Come!” or the Spirit and the army, kingdom, body, temple or priesthood. Rather, it is the Spirit resting on the church as a bride. Forever, we will rejoice in our identity as God’s family, body, temple, priesthood and more. As sons of God, we are to experience God’s throne as heirs of His power (see Rom. 8:17). As the bride of Christ, we are to experience God’s heart—His desire for us. The bridegroom message is focused on Jesus’ emotions for us, on His beauty, on His commitments to us (to share His heart, home, throne, secrets and beauty), and on our response of wholehearted love and obedience to Him. Understanding this message begins with experiencing His affections for us. Jesus delights in us, enjoys us, partners with us in the work of the kingdom and is committed to our eternal success. Isaiah described the end-time prayer movement as deeply relational, a quality that would stem from the revelation of God as our bridegroom (see Is. 54:5, 62:5). In no way should “the bridegroom God” term conjure up images of our Lord and King as some sort of sensual lover or “boyfriend God.” That is grossly inappropriate and dishonoring to Jesus. One reason people burn out in intercession and ministry to others is because they lack intimacy with God through encountering Jesus as their bridegroom God. The revelation of the church as Jesus’ cherished bride is essential for keeping our hearts alive through the years as we diligently do the work of the kingdom. 2. It will be continual (Rev. 4:8; Is. 62:6-7; Luke 18:7-8). In Revelation 4-5, the apostle John describes the heavenly worship order around the throne. In His vision of God’s throne room he witnessed celestial beings who “do not rest day or night, saying: ‘Holy, holy, holy ” (Rev 4:8). As already mentioned, God desires to be worshipped on this earth just as He is in heaven—continually and unceasingly. Moreover, the prophet Isaiah saw a prayer movement on earth that would not rest night and day until God’s purposes were fully established (see Is. 62:6-7). In these last days God is raising up a prayer movement that will continually worship Him and cry out to Him for His plans to be executed and His justice to be released (see Luke 18:7-8). The call to 24/7 worship and prayer is not an invitation to organize it all under one roof. Continual prayer usually is expressed by the body of Christ together as prayer is offered up from many different buildings across a city or region. The call of 24/7 prayer is to build a prayer culture among God’s people across cities and regions so that Jesus receives continual, corporate worship from many different ministries and locations. Each does its own small part, but together all offer night-and-day prayer and worship. I do not believe the Lord is calling most churches to start a 24/7 prayer ministry in their building but instead to build a prayer culture in their church. Unless the Lord specifically calls you to start 24/7 prayer in your congregation, it is best to view it as what will result from the collective efforts of hundreds of prayer meetings held in homes, churches, universities and businesses across your city. 3. It will be global (Is. 24:6-7, 42:10-12; Mal. 1:11). The Scriptures are clear that the end-time worship and prayer movement will extend all across the earth, even to the most remote and difficult-to-reach places. Isaiah prophesied that even in the remote islands of the earth God’s people would sing to the Lord in worship and intercession (see Is. 42:10). He witnessed worship going forth in the wilderness, or desert places—even in Islamic villages such as Kedar in Saudi Arabia and Sela in Jordan—and that God’s people would worship from one end of the earth to the other until Jesus returns (see Is. 42:11, 13-15). 4. It will be musical (Is. 24:14-16; 26:1; 27:2; 30:29; 32; 35:2, 10; 42:10-12; 54:1). Some who lead prayer ministries struggle with the idea of prayer meetings being led by music, but the idea is biblical. One aspect of the kingdom coming on earth as it is in heaven involves music in our prayer meetings. This is seen in Revelation 5:8-9. When I first began having daily prayer meetings, we did not include music led by a worship team. We spent more time shouting at the devil than we did talking to God. It seemed like the mark of a good prayer meeting was exhausted and hoarse intercessors. Eventually I introduced music, and our prayer meetings became not just bearable but enjoyable! The end-time prayer movement is musical. The human spirit is deeply musical because we were created in the image of God, who is very musical. Few things touch the human spirit in the way that anointed music does. 5. It will be missional (Rev. 7:9, 14). The end-time worship and prayer movement will be instrumental in ushering in the greatest harvest of souls in history (see Matt. 24:14; Rev. 7:9, 14). Jesus said in Luke 10:2 that we must pray for the Lord to release laborers for the harvest. Throughout the Scriptures we see a pattern in which communities, such as the one in Jerusalem in Acts 2 and the Antioch community in Acts 13, gather together in worship and prayer. From those prayer meetings, missionaries are sent out and evangelism movements are unleashed that result in a significant harvest of souls. Jesus connected night-and-day prayer to the release of justice on the earth (see Luke 18:7-8). He spoke of this in the context of the end times, with specific reference to His second coming (see Luke 17:24-37; 18:8). John spoke of the end-time prayer movement as being deeply connected to the release of God’s judgment to remove oppression from the earth (see Rev. 6:9-11; 8:3-6). 6. It will be youth-oriented (Mal. 4:5-6). The end-time prayer movement will consist primarily of young people. We know historically that most people who turn to Jesus do so before they are 25 years old. Most great revivals of history were focused primarily on youth. This will be the pattern again because the majority of the world’s population is under age 25. Malachi prophesied that the Holy Spirit would turn the hearts of the fathers to a focus on the youth during the generation in which the Lord would return (see Mal. 4:5-6). This means spiritual fathers and mothers will focus on God’s purpose for young people in the end times. Thus, the end-time prayer and worship movement will comprise youth who walk in a spirit of humility and honor. David spoke of a time when young people would declare the excellence of God’s name throughout the earth. This will happen, in the fullest sense, only in the generation in which the Lord returns. David went on to prophesy of the power of this worship movement that would flow from the mouths of babes. He said that even through the youth God would release His strength to silence the enemy and the avenger (see Ps. 8:1-2). 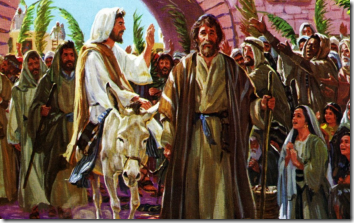 Jesus referenced David’s prophecy during His triumphal entry into Jerusalem. It was at this time that He declared His house would function as a house of prayer. Matthew tells us that immediately after this the scribes were indignant at seeing children cry out in worship to Jesus. Jesus answered them by quoting David’s prophecy that from the mouth of babes God would perfect praise (see Matt. 21:13-16). David’s prophecy of young people worshipping God was so important that Jesus emphasized it in the context of calling God’s house a house of prayer. On another occasion, David prophesied about young people volunteering for the Lord’s end-time army at a time when God’s power would be openly manifested in the nations (see Ps. 110:3, 5). 7. It will be unified (John 17:21-23; Eph. 3:18). In His high-priestly prayer, Jesus prayed and prophesied that He would pour out His glory, enabling His people to walk in unity and greatly enhance the effectiveness of the gospel (see John 17:21-23). The end-time worship and prayer movement will function in gracious cooperation because God has entrusted different aspects of His purposes and plans to separate parts of His body. Out of necessity, but borne of love, the prayer movement will be profoundly unified as the church experiences the fullness of God’s purpose by honoring and serving one another in relationship. This will be achieved by a supernatural grace that God will pour upon His body, enabling it to walk in love and a spirit of unity. For unity is the place where God commands His blessing in the greatest measure (see Ps. 133:1-3). The Holy Spirit is calling the church to rise up in unity as the end-time prayer movement to offer fervent, continual intercession and worship that flows from prophetic music and intimacy with God. From this position of strength we will work together to fulfill the Great Commission and bring in the greatest harvest of souls in history. And Jesus will respond to the voice of His bride calling out as one with His Spirit for Him to come in power, vanquish His enemies and fill the earth with the knowledge of the Lord. Mike Bickle is the director of the International House of Prayer Missions Base of Kansas City (IHOP-KC) and author of several books. For more information, visit mikebickle.org or ihop.org.